This was my third trip to India and it once again reminded me of a generally lovely nation that is prepared to work very hard to achieve their goals with big smiles on their faces. Various Indian persons back home have said to me over the years that they would never visit India as it is dirty and the poverty is too much to bear. Having freshly arrived back with reawakened eyes, I would inform them that parts of India are now much cleaner than parts of South Africa and although their poverty appears to be greater than ours, the percentage level roadside begging is far less and the number of very poor persons doing small menial tasks to make a living is far greater. At the start of our journey to India, we spent two nights in Juhu Beach, Mumbai at a hotel on the edge of the beach. Although we were there after the weekend and at the start of the week, we found many persons frequenting the beach at around sunrise and sunset, something which is not seen to this degree in Durban; most are attending to “evening duties” in preparation for the next day. I did consider that it is perhaps a case of us having got into a rut and set routine, believing that there is no time to socialise much in good old-fashioned ways after work and before work the next day. The roads around Juhu Beach are buzzing with traffic in the form of bicycles, rickshaws, private motor vehicles, taxis, tuk-tuks, horses and persons heading in all directions. It is not for the fainthearted as one often has to walk on the roadside next to the pavement and cross the road and unaided by traffic lights or any other forms of control; it’s everyone for themselves! 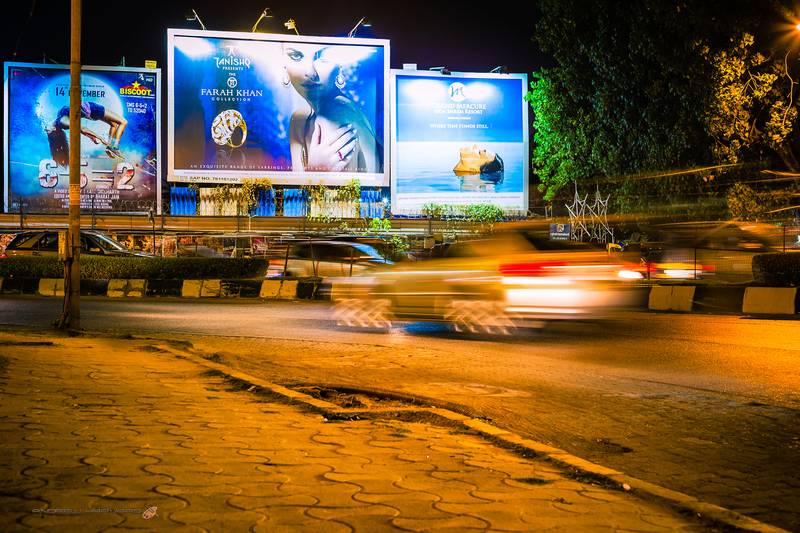 Many of the roads we travelled on are lined with large billboards advertising jewellery, saris, movies, luxury accommodation and various other things that the average person, who passed us on the road, would have little chance of ever affording. The inserted photo was taken on the main road running alongside Juhu Beach. “Juhu beach is located 18 kilometres north of the city centre on the shores of Arabian sea stretches for six kilometres right up to Versova. It is a popular tourist attraction throughout the year and is also a sought after destination for shooting films. The beach generally gets more crowded on weekends with families and courting couples. The food court at its main entrance is famous for its ‘Mumbai style’ street food, notably Bhel puri, Pani Puri and Shev puri. Horse pulled carriages offer joyrides to tourists for a small fee while acrobats, dancing monkeys, cricket matches, toy sellers vie for tourist’s attention. Of course I will return for a fourth visit. Can’t wait to see your pictures!